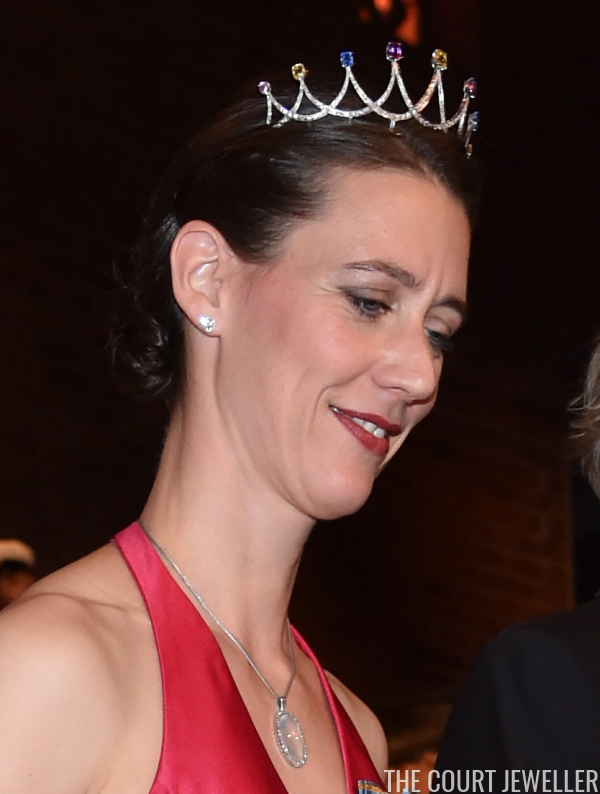 We've got one more tiara to round out our coverage of the Swedish portion of the Nobel Prize festivities! 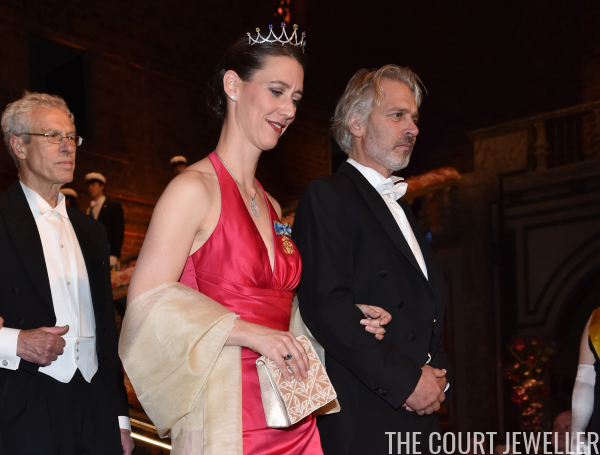 Here's a look at the gown and jewels worn by Countess Bettina Bernadotte. Bettina is a daughter of the late Count Lennart Bernadotte and his second wife, Countess Sonja. (Lennart was the son of Prince Wilhelm of Sweden and Grand Duchess Maria Pavlovna of Russia.) Here you get a good look at Bettina's unusual tiara, which features multi-colored gemstones sitting atop a tall, modern diamond base. And here's a look at Bettina's entire ensemble. 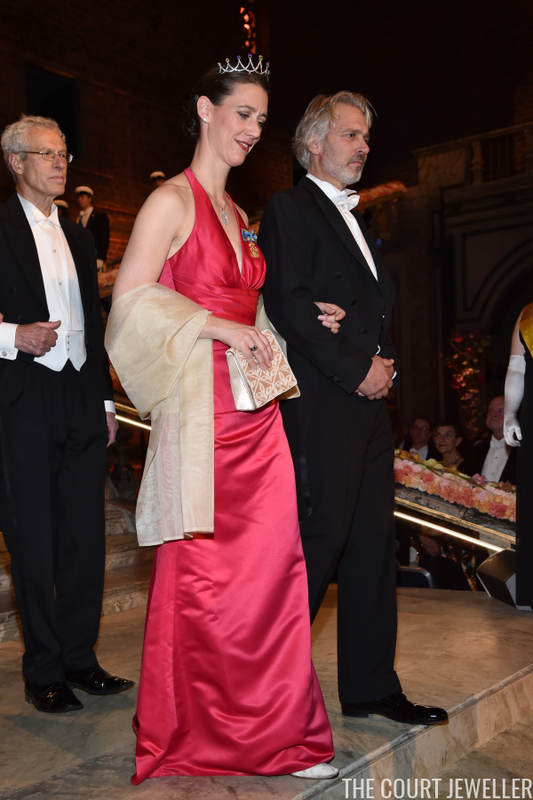 That's it for this year's Nobels in Sweden -- stay tuned tomorrow for jewels from the Norwegian Peace Price events!